Most people use music to relieve stress, to set the mood, or keep away from undesired environments. Music can carry you to a fantasy world away from wherever you were. Previously, accessing free music was difficult; it is more difficult to pirate music in the digital world. Smartphones have revolutionized the music industry. The way we access music is no longer limited to location, although there are still restrictions. Also, it is easy to create a favorite playlist or multiple playlists to suit you at different points. Organizing music is much simpler in the 21st century with smartphones. Sorting, deleting, and editing playlists are also some of the advantages, which have come with the smartphone revolution in music. Android offers various platforms for accessing music at your convenience. Most of the Android apps for music allow you to download, convert format, and play both online and offline. Some music sites restrict streaming services to certain locations or require you to pay a certain amount for some privileges. The restrictions are not necessary for the digital age and should not worry you if you have download apps. 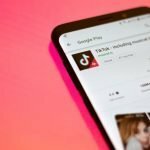 Google Play Store has millions of Android download apps, if you search for free music download apps for Android, you will end up with hundreds if not thousands of options. While the competition is good for Android users, the options can be overwhelming. They offer the same basic services, downloading; however, you should find a suitable one basing on your specific navigation needs. 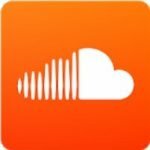 Soundcloud is a music streaming service available for free on the Android platform. The app helps you to access any kind of song in any genre at any time. All you need is a stable internet connection; either mobile data or Wi-Fi to keep your playlist smooth. The app boasts of at least 150-million song collection in diverse fields. Irrespective of your music preference, this Android app has got you covered. It is satisfactory for everyone. It is probably the only app that offers you a chance to listen to beats, EDM’s by new artists in the industry, remakes, as well as remixes. Most of the songs are easily downloadable from the site. 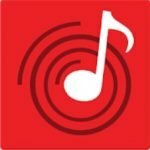 The millions of songs on the app guarantee you a favorite podcast with few searching techniques. The app is integrated with smart technology, which suggests music based on your frequent selections that are marked as favorites. After a few consecutive days of using Soundcloud, you won’t have to go through the whole search and selection process. 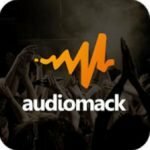 You should try Audiomack and experience the ease in downloading and streaming music of your choice. The mobile application features music ranging from Reggae, Hip-Hop. EDM, R&B, mixtapes as well as Rap. 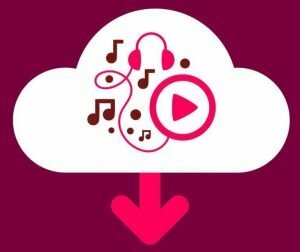 There are no restrictions based on location or size of music selection; all you need to do is download this music downloader app and listen to any music of your choice, anywhere. Whether you want to download or save your phone’s memory by streaming, this app offers you all the options for your suitability. Besides your unlimited access to all music genres, the app allows upcoming artists to share content. 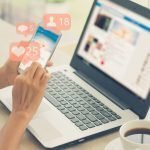 the number of downloads range in billions and rising by day; sharing content on the app exposes you to millions of users every day hence a good chance of growing in the industry within a short time. The developer strives to keep the application free of clutter and any piracy issues. It is free to download and stream music on the site. It is one of the popular music downloaders because of its ease of usage and extensive music collection. 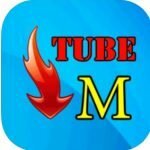 Unlike most of the music apps, TubeMate offers you an option to download videos from any genre of songs. 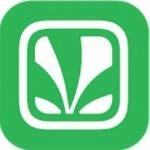 Popular music services like VEVO, Sony Music, and T-Series are available through this mobile for you to access a vast collection of songs. Most people access YouTube for favorite videos but get stranded on downloading because of the piracy restrictions. 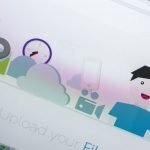 With TubeMate, you can convert YouTube videos to MP3 and save the files on the destination of your choice. he download speed is restricted within 128 kbps, which is sufficient for casual music downloads. However, some people find it too slow. This is designed specifically for fitness enthusiasts. The mobile application is not only for streaming music while on the run but also the free download. Rock My Run redirects you to popular public domains for access to a variety of songs and collections of music. 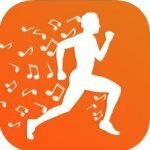 You can either download music and create a favorite playlist for your exercise time or simply select a favorite category from the endless podcasts on the app to stream. The application has notable features like Body Driven Music, which adjusts tempo and playlists to match your steps. The User Interface is easy to use. Also, the developer offers numerous tools for organizing your playlists. All kind of music is available; the collection ranges from Seasonal, classical, R&B, House, 90s, 80s, Rock, Pop, Dubstep, Bmore, Drum & Bass, Oldies, and Country. It covers everyone, you don’t have to worry about your favorite genre; you will get to your favorite song in minutes with the easy navigation. This mobile application is probably the best music downloader app you will come across on the Android platform. SONGily allows you to either stream or download music of your choice. It is as easy as clicking a music file and choosing whether to stream or download. The mobile application is a gateway to major public domains, which expose you to the world of endless music collections. The search tab is easy to use; besides, it is accurate. It quickly suggests songs based on your history and favorite genre. The application has incredible file transfer features as well as an impressive background for playback. The preview feature distinguishes this mobile app from other mp3 downloaders. You can listen to a song before clicking on the download button. Also, you have an option of transferring your music files to external memory directly from the app. SONGily has an inbuilt download manager as well as a music player, which makes it easy for both streaming and downloading. 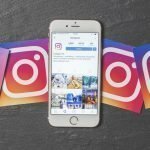 The app is more than a free mp3 downloader; users can download videos from Instagram, Facebook, and YouTube. 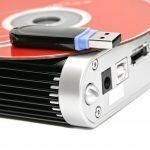 It is for sure an easy way to download your music audio files. All you need is spare little of your storage space to install this application either in your SD or internal memory. As long as you run Android, it will perform its magic. The app is easy to install; you don’t need any specific instructions, it guides you through the processes to successfully launch the UI for your first download. To download audio files from this mobile app, start typing on the search tab and the app will pop up suggestions of relating titles. You don’t have to know the exact song title, you can use the album or artist name to find a song. The music downloader free is integrated with accurate and smart filters for quick and relevant search results. The search results are displayed as genre, artist, and album; all relevant details for accuracy. The details on results also help you save time in searching. Besides, the app suggests songs of interest basing on your search history and frequently played music files. If you like Indian music, this is the best music downloader free on Android. The mobile app also allows you to stream and download English songs. It is easy to locate music files through the history tab, which you can customize to maintain your search records and favorite plays for as long as you wish. 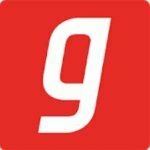 Ganna Music boasts of approximately 30 million songs in Bollywood and English; the app features among the top downloaded music apps with billions. 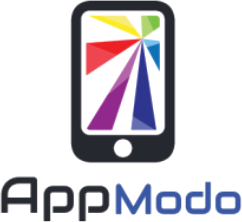 The number is increasing by day because of the efficiency of this mobile app. Besides streaming and downloading, Ganna operates as an FM Radio. The free mp3 downloader offers lyrics to every song on the platform. While streaming, you can sing along with lyrics that pop up automatically on the screen. The developer offers an upgrade version, where you can sync your downloads on a maximum of five devices and listen offline. This music downloader app is popular because of its management tools. It is a must for every Android user who loves music. The app has at least 40 million songs that cut across all genres and cultures of the world. 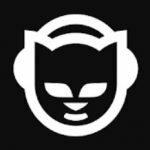 At least 35 countries are represented on Napster music; the developer is on a daily mission to upgrade and update music to cover the whole globe. Meanwhile, the existing collection is too much to navigate through the genre; you will need a lot of time to check on all collections. In fact, it is impossible to listen to a quarter of the songs. They are all of the high quality and easy to access. The app doubles as an FM Radio with a free one-month trial. The music downloader app has surpassed all others on efficiency and ease of user interface. Searching for a song is not limited to the title or artist name, you can type any part of the lyrics you recall and the song will pop up. The search engine is efficient and effective; with all the generalizations on search, it will pop up results in seconds. The results will always be accurate. The developer’s focus on efficiency of search capability attributes to its popularity across the world. Also, you can create, customize, and save the lyrics of your favorite songs for offline listening. The app allows you to download or stream songs. The songs are not only categorized based on genres but also on basis of moods. 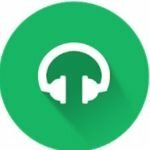 Wynk is one of the best music download apps for Android. It offers streaming services for thousands of customized playlists based on music genres and moods. The mobile app also allows you to create and save playlists offline for uninterrupted flow of your favorite music. A distinguishing feature of this mobile app is chromecast support. Most apps are not compatible with other online streaming features like Wybk. The developer focuses on convenience and flexibility of users with regards to accessing music of their choice. Check on suitability on either of the apps and enjoy free music on your Android smartphone.